Melissa DiBenedetto joined Mingace & Heineman as an associate in January of 2008. 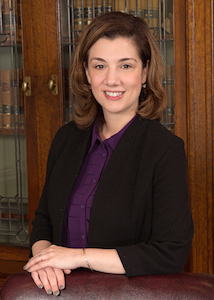 Attorney DiBenedetto’s practice involves varied areas of civil litigation. Attorney DiBenedetto routinely handles personal injury and medical malpractice cases involving serious injuries. She also handles divorce and child custody cases as well as child support matters. In addition, Attorney DiBenedetto handles the probating of Estates when a client’s loved on has passed away. Attorney DiBenedetto also handles small claims matters of varying nature as well as Landlord Tenant matters. In addition, Attorney DiBenedetto handles Real Estate transactions from the initial offer up to and through sitting at the closing table for both real estate buyers and sellers. No matter what type of case Attorney DiBenedetto is handling she devotes all of her time and attention to her clients making sure that they know that their case is always a priority.